The Maryland Terrapins would have probably been disappointed with a five-seed to start the year, but it is time to forget about the past and do your best and surviving and advancing. Seeding clearly does not matter in March as the No. 2 Michigan State Spartans lost to No. 15 Middle Tennessee in embarrassing fashion. Mark Turgeon said prior to the game that if the Terps lose it will not be because they overlooked the South Dakota State Jackrabbits. The Terrapins came out ready to play in the first half by shutting down the Jackrabbits on the defensive end. With an 18 point lead with 8:49 to play, it looked like Maryland would easily survive the 5-12 upset scare that had already claimed Baylor and Purdue yesterday. But in typical fashion the NBA talented squad was unable to put their foot on South Dakota State’s throats and allowed them a chance to force the game into overtime. A end of game turnover saved the Terps in the first round of the NCAA tournament, again, as Maryland advances with a 79-74 victory. 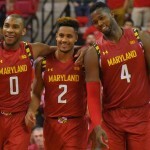 The Maryland Terrapins’ (25-8) disappointing regular season came to an end when given a five-seed in the NCAA Tournament’s South Region. Following the early offseason hype of Final Four or bust and desires for a number one seed in the Big Dance, reality has hit that the Terps did themselves in by not fully utilizing their volume of talent. There is still time to make amends for the lackluster end of the regular season by making a deep run in the March Madness festivities. Mark Turgeon believes the Terps brutal end of season schedule and the Big Ten tournament will prepare the group well for another NCAA tournament run. 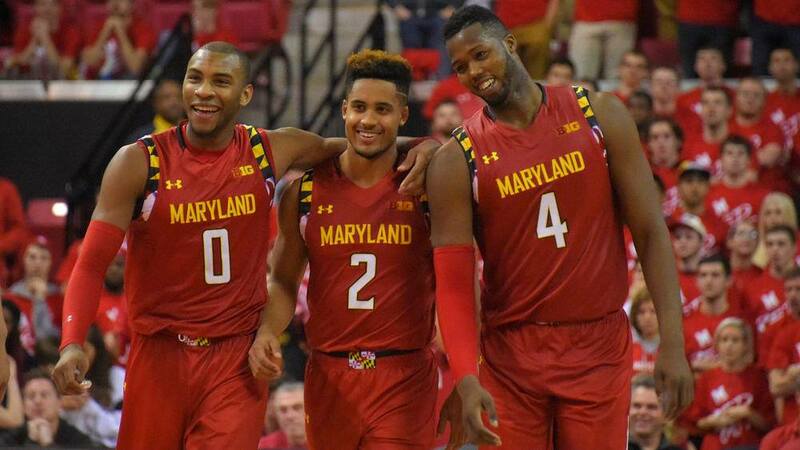 Despite the close loss to the Michigan State Spartans, a snubbed potential one-seed, the Maryland team is still a confident bunch.